A couple of weeks ago, I received an interesting email from Hot Rails reader, renowned economist and fellow South Australian, Professor Richard Blandy. Blandy has recently written several posts at his InDaily blog about strategies to revitalise declining regional townships in SA – Whyalla, Strathalbyn, Murray Bridge, for example – through tax incentives, cutting red-tape, and public service relocations. High-quality transportation links are vital for such a strategy to succeed – so he asked me if I could do an analysis of the prospects for high-speed passenger rail in South Australia. High-speed rail? In Adelaide? As a proud croweater I had of course given it some cursory thought, but dismissed it almost immediately as a mere fantasy, given the state’s small population and intractable economic malaise. Adelaide isn’t the kind of all-powerful behemoth of a city that Sydney or Melbourne are, their immense cultural and financial gravity pulling commuters into orbit from hundreds of kilometres in every direction. SA doesn’t even have any regional passenger rail anymore; the last service to Mt Barker was suspended in 1995 when the track was converted to standard gauge (South Australian suburban trains use broad gauge). Even the grain lines are closing, badly maintained and unable to compete with the road trains. It’s hard to imagine a renaissance of passenger rail taking off in such a climate. And yet… can you imagine the tears and wrist-slashing one the east coast if Adelaide had HSR up and running before Sydney and Melbourne? That alone would be worth a billion dollars. I decided it was worth a closer look. The thing about high-speed rail is that the vast majority of the expense comes in the form of tunnels, bridges and earthworks to make the track flat enough. That makes a Sydney-Canberra or Sydney-Melbourne railway quite expensive due to the Great Dividing Range. The other main expense is bypassing Sydney’s existing choked transport infrastructure via tunnel to access the CBD. South Australia has two substantial advantages over the eastern states in this respect – first, most of the proposed routes are basically on flat terrain, making construction a far simpler affair, and second, the existing rail corridors to the north and southeast of the city are straight enough for high-speed access without land acquisitions or tunnelling. The construction cost for South Australian high-speed rail should therefore be far lower than in the eastern states, perhaps not much more than the cost of track upgrades alone, which is in the low single-digit $millions per kilometre. Since the enormous up-front capital cost is the primary barrier to HSR, perhaps lower construction cost would be enough to offset the lower passenger demand that could be expected in South Australia. This post will look at three of SA’s regional rail routes that are most promising for high-speed passenger use, and give a very rough estimate of the construction by comparison with the estimates made for the Sydney-Canberra route. The seaside township of Victor Harbor is the most obvious candidate for a fast railway – it’s under 100km from Adelaide, the population growth is high (especially among retirees), and the seasonal holiday demand would be significant. There are two main problems – the first is that the former route via Mt Barker, Strathalbyn and Goolwa is not very direct. Even with substantial straightening of that route, it would still be about 110km. The second problem is that the Adelaide Hills are actually quite a formidable barrier to a fast railway, which needs both large radius curves and gentle gradients. A large portion of the route is highly unsuitable for straightening; you could do it, but only with a lot of tunnels and land acquisitions through Stirling and Aldgate – not cheap! The other possible route via Aldinga or Willunga would be quite a bit shorter; you could conceivably get to Victor with an 80km route, few urban land acquisitions, and somewhat easier terrain. However the Willunga Hills would still be a substantial engineering challenge. And you have far less existing rail corridor to work with. And you don’t service Stirling, Mt Barker, Strath and Goolwa. And the existing corridor to Seaview is not suitable for high speeds – it might actually end up being slower than the Mt Barker route despite being shorter. In short, neither of the existing corridor options are particularly straightforward, but the first is probably better on balance, given that you get five or six major stations rather than just the one, and that the run from Strathalbyn onward is basically flat. The population base in the Hills route totals about 61,000, comprising approximately 10,000 in the Crafers/Stirling/Aldgate/Bridgewater suburban area, 2,000 in Hahndorf, about 20,000 in Mt Barker/Nairne/Littlehampton, 6,000 in Strathalbyn, 6,000 in Goolwa, 1,000 in Middleton, 2,000 in Port Elliot, and 14,000 in Victor Harbor. That’s a total of $1.3 billion for a 110km route, possibly quite a bit less if you settled for single-track after Mt Barker (which would probably be sufficient). The following table lists potential stations and the travel time at a 200km/h average speed. It should be noted that actual travel time will be somewhat longer than indicated, as this takes no account of acceleration/deceleration or the train making stops. The Iron Triangle region, formerly the centre of SA’s iron ore, steelworks, shipbuilding and coal industries, has fallen on hard times as many industrial centres in developed economies have done. The three main cities and their populations are Port Pirie (14,000), Port Augusta (18,000 including Port Augusta West) and Whyalla (22,000). Blandy argues that the fortunes of the region and others like it can be revived by eliminating non-essential business regulation and imposing a substantial regional tax break for all businesses done in the region. This would encourage entrepreneurs, innovators, small and large businesses alike to relocate there. Blandy points to the rust-belt city of Pittsburgh in the USA as a case in point, where the former steelworking town has reinvented itself as the capital of American robotics. We could do it here too, if the city-based political class can bring itself to give regional areas a favourable taxation and regulatory regime. Its location is ideal as a hub for nuclear expertise in Australia. Its proximity to the uranium deposits of SA’s far-north, and having deepwater ports at Whyalla and Port Pirie, would make it a highly suitable administrative and logistical base for a nuclear fuel storage facility as recommended in the recent Nuclear Fuel Cycle Royal Commission. There are also calls for a nuclear power plant to be located at the site of the now-closed Northern Power Station. Renewable energy advocates suggest that Port Augusta would be an ideal location for a solar-thermal power plant. 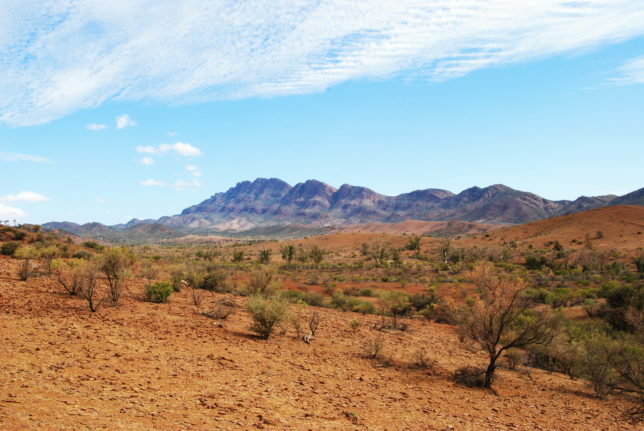 Its location close to the spectacular Flinders Ranges has given Port Augusta the moniker “Gateway to the Outback“; capitalising on this natural advantage could make Port Augusta a tourism hub. Another of Port Augusta’s monikers is the “Crossroads of Australia” – railways, highways and shipping lanes converge at the head of Spencer Gulf, giving Port Augusta great potential as a national logistics and shipping hub. Dr Blandy also suggested an alternative, more direct route to Whyalla. By building a causeway across Spencer Gulf at the shallows between Port Germain and Point Lowly, the route could be shortened by about 90km (but Port Augusta would be bypassed). This bridge would certainly be no small engineering feat; at 17km in length it would be among the longest in the world. Of this, about 11km would be over shallow tidal flats and 6km over the main channel up to 30m in depth. If we assume the shallow section consisted of simple, 20m-span beam bridge, and the deep section consisted of 60m-span segmental concrete, we can use the Hot Rails bridge cost functions to estimate the cost of this structure to be about $430 million. While it would sure be cool to have a bridge like that in SA, it probably wouldn’t pass a cost-benefit analysis – sorry, Professor! So in total that’s maybe $2.2 billion, or $1.4 billion as an add-on to the Victor Harbor line. But like the Iron Triangle line, it would still need to be coupled with serious regional development in order to generate viable ridership numbers. Other than Mt Barker, the largest townships on the route are Mt Gambier (25,000 people), Murray Bridge (17,000), and Naracoorte (5,000). Including the smaller towns like Tailem Bend (1,500) Bordertown (2,500) and Penola (1,500) gets the total over 50,000, but only just. The nature of the Limestone Coast region means the development strategy would have to be very different to the Whyalla line. 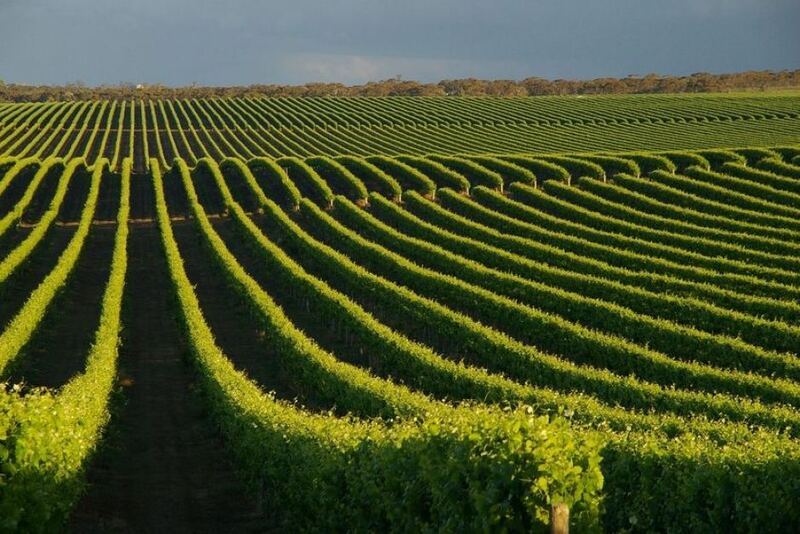 As an agricultural, forestry and winemaking district, the Limestone Coast has much to offer. The climate is more conducive to tree-change migration than the north of the state, which often has to endure oven-hot summers. However as the most expensive of the three options investigated, and with the most uncertain passenger demand, the prospect of a Limestone Coast fast railway looks unlikely. This could easily be a entire post in its own right, but broadly speaking, what sort of rough numbers would we want to see for such a project to be worthwhile? Capital costs for each railway are about a quarter of the capital cost estimated for Sydney-Canberra. Is it reasonable to expect a quarter (or more) of the passenger demand? We estimated that railway to have a potential passenger demand of almost 30,000 passengers per day, the majority of them between Sydney and the Southern Highlands or Macarthur regions (a distance similar to the Adelaide-Victor railway). A quarter of that is 7,500 passengers per day – a daunting prospect in a state renowned for its poor mass-transit, but perhaps not impossible with a concerted decentralisation effort. Adelaide already has three major exurban commuter basins, to the north (Gawler and the Barossa region), the south (McLaren Vale) and the east (Mt Barker and the wider Adelaide Hills). We’ll look at Mt Barker and the Victor Harbor line in more detail. An estimated 60% of Mt Barker’s workforce commutes to Adelaide daily, the vast majority of them making the 50-minute peak-hour commute by car. With a workforce of over 18,000 in the Mt Barker region, thats almost 11,000 daily commuters, or 22,000 individual trips. A rule of thumb we used previously is that fast rail is able to capture approximately 20% of the car traffic between any two given destinations, so that’s potentially well over 4,000 trips per day just by capturing a small share of the existing commuter market. Factor in the expected doubling of Mt Barker’s population in the next 20 years or so, and the fact that the South-Eastern Freeway is already pretty much at capacity during peak times, and fast rail begins to look less like a whimsical fantasy, and much more like essential infrastructure. Adelaide’s population is expected to increase by over 500,000 within the next 30 years – that’s almost 17,000 people each year. Most of them are currently expected live in the existing growth corridors north and south of the city, plus the Hills. However, many South Australians have concerns over the plans to vastly increase the population of Mt Barker and other picturesque city-fringe locations such as the Barossa Valley and McLaren Vale. What if a fast railway could divert some or all of that expected increase to locations further afield? With a fast railway, Strathalbyn, Goolwa and Victor Harbor would all be within 45 minutes travel time from Adelaide station – faster than the travel time from existing commuter townships. It is entirely plausible that these locations could become new commuter towns for Adelaide, with affordable housing and an enviable coastal lifestyle. If just 5% of the additional population were to become fast-rail commuters, that would be 8,500 potential new commuters within a decade, representing 17,000 trips per day. All told, it’s very plausible that a fast railway to Victor Harbor via Mt Barker could have a ridership of over 20,000 trips per day within a decade, easily exceeding our goal of 7,500 trips per day. That’s not as crazy as it sounds; the Seaford Line to Adelaide’s southern suburbs is already seeing over 15,000 trips per day, with a comparable travel time to its terminal destinations (though admittedly far lower fares than contemplated for fast rail). The destinations in the Adelaide Hills are served by the metro bus system on a flat $3.48 fare, but the travel time to Mt Barker is over an hour compared to under 15 minutes with a fast train. Let’s say you set up the fare structure to be something like $10 to Mt Barker, $20 to Strathalbyn, and $30 to Victor Harbor (representing fares roughly proportional to distance). 20,000 ADL-VHB pax/day at a fare level of $30 would give $600,000 in revenue per day, or $220 million/year. That makes gross revenue almost 20% of up-front capital costs, which is actually about twice that of the Sydney-Canberra line. This suggests that it could be attractive to the private sector with minimal or no public subsidy, even at a substantially lower fare level, or if actual passenger numbers are less than estimated above. By the same token, the strong revenue would make it a good candidate for 100% public funding, especially since it would relieve pressure on other transport modes and assist with other urban development goals. 2016: 12 new submarines – $50 billion. There are times I wish I were just making this up. While I don’t for a moment trivialise the scale of a billion-dollar investment, the fact is SA is spending this kind of cash already. Each railway described above would be about a “South Road Superway” sized investment. Or half a hospital. Or a quarter of a sub. It’s actually painful to write this. The outrageous inflation in the cost of civil infrastructure projects in Australia is going to be the subject of an upcoming post, but it should be clear that the scale of these proposed railways is well within the capability of the state and federal government. While I, like Professor Blandy, strongly favour government incentivising private business to build railways rather than doing it themselves, the idea that South Australia couldn’t possibly consider a major investment in rail infrastructure is just intellectual laziness – and an acceptance of Adelaide remaining the only barely-viable economic region in the state. I think South Australia has more to offer than just the Adelaide plains. 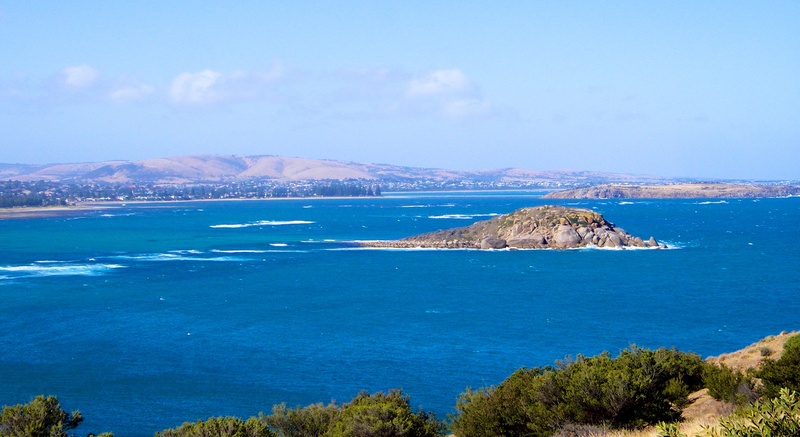 Victor Harbor is one of the most gorgeous coastal regions in the country. The Iron Triangle is the gateway to the outback, starkly beautiful in a similar manner to the hinterland of Las Vegas. And the Limestone Coast is a top-tier food-and-wine region with great surf to boot. A modest fast rail network would largely overcome the tyranny of distance for these regions, and would be an important part of a decentralisation strategy to revitalise the state’s regional areas. Why can’t something like this be proposed to the SA government? They could have all the proposed routes listed here up and running in 10 years easily. They should probably start with the routes to Goolwa/Victor Harbour and Murray Bridge/Tailem Bend first for it to be cost effective. There also could be a route that you haven’t listed here to Nuriootpa and the Barossa Valley via Gawler. After these routes have been built, hopefully the SA government won’t think that’s all they have to build for the next 50 years and instead continue with fast rail to Mount Gambier and Whyalla. Rather than just speculating about what could be possible, (as has been the case on the east coast for HSR) why can’t we try pushing the government into doing these infrastructure projects? P.S. Would the rail being built be upgraded to electric? Hi Kristan, I certainly hope that the SA and other state governments will see the potential of the existing under-utilised rail assets – please contact your local member and argue the case! As for upgrading to electric, in the first instance the design philosophy of Hot Rails is to aggressively minimise construction costs. Overhead wires and power transmission infrastructure costs several million dollars per kilometre, and aren’t necessary for speeds of 200km/h – diesels will work fine. It could certainly be done in the future if demand was high enough to warrant the extra expenditure! All sounds good in practice. This and previous State Governments bureaucrats are anti-rail. There is also the recalcitrant noises from GWA and ARTC on the use of the corridors. Unless these three are put in their place, not much is going to happen. There is possible money out there fore these projects, but not until ……. One previously used rail corridor not mentioned here is the Gawler to Morgan route in the Riverland. Closing it down in 1969, in my view, was a disappointing result. The terrain is relatively flat. Up to 6 trains a day used this rail route. The Germans have built hydrogen powered trains in 2018 and this technology could be used to power locomotives on this rebuilt line utilising a not-yet built hydrogen production facility at Morgan (next to the SA Water Treatment Plant). Yes, more expensive to build, but cheaper in the long run than diesel to operate. Hi Adam. I’ve not looked at the Morgan corridor in great detail; the main problem would be the small population of Morgan (under 500) with limited scope for increase. Additionally it would not plausibly be part of a larger network to Melbourne or Sydney. In any case the cost of bringing the rail track itself back to a usable state would be by far the largest cost, whatever technology was selected for rollingstock.